podcast: ON CREATIVE LIVING / EP 123 from Elise Gets Crafty. 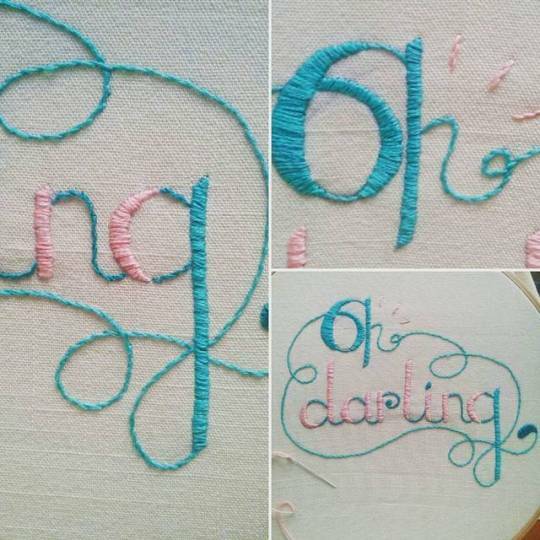 Handlettering : Embroidered hand-lettering by stitch-erystitch-ery.tumblr.com. It’s beautiful. This entry was posted in Artists, Fashion & Style and tagged art, artists, drawing, embroidery, ethical, fashion, handmade, links, vintage style, zines. Bookmark the permalink.